Christians in Entertainment, which has been supporting Christians working in the entertainment world for more than 35 years, is urging local churches to mark Arts & Entertainment Sunday on 3 April 2016. The support network, run by Chris Gidney, gets alongside actors, musicians, dancers, singers, writers, stage crew, backstage teams and more to give pastoral encouragement in their work, as well as working with Gideons International to see Bibles available in many of the UK's theatres and venues. 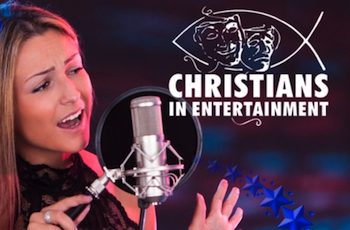 Churches interested in taking part can download a resource pack from the Christians in Entertainment website, with prayers, information, ideas and more.